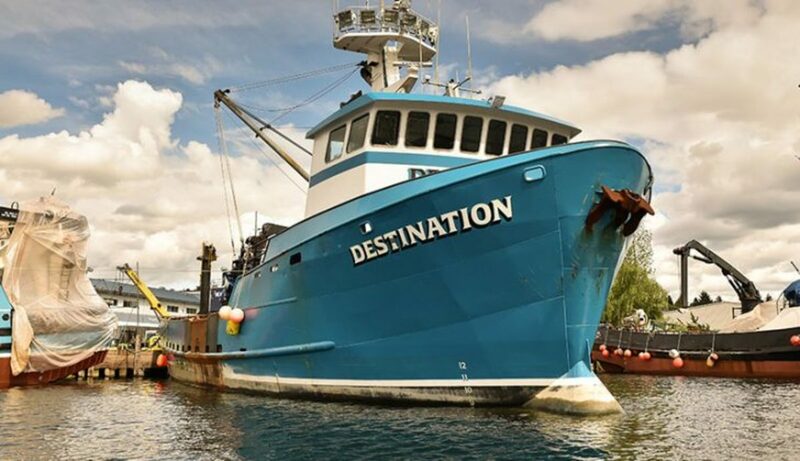 FV Destination in Seattle prior to her fateful last voyage. 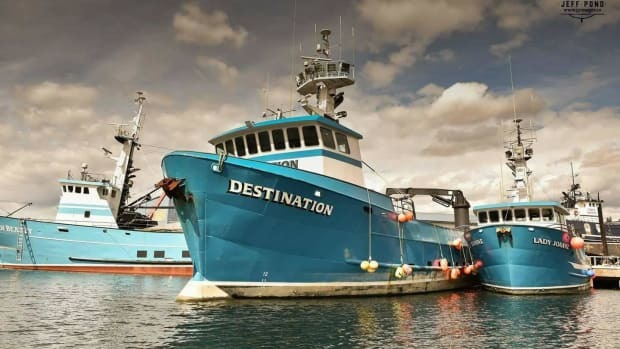 On June 28, 2018, the National Transportation Safety Board (NTSB) produced the final report on the capsize and sinking of F/V Destination, the crab vessel that disappeared last winter northwest of St. George Island in the Bering Sea, killing all six crew aboard. 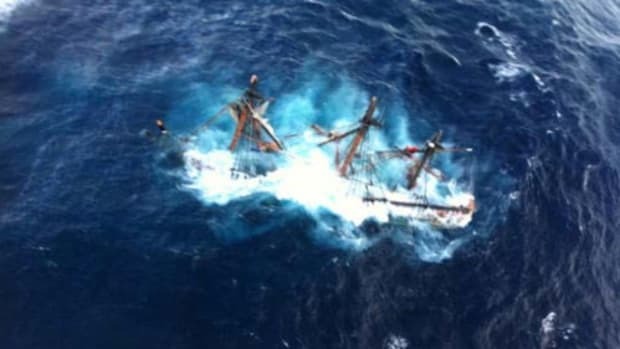 Last July, two NOAA vessels — Oscar Dyson and Fairweather — assisted the U.S. Coast Guard during the search for the missing boat. 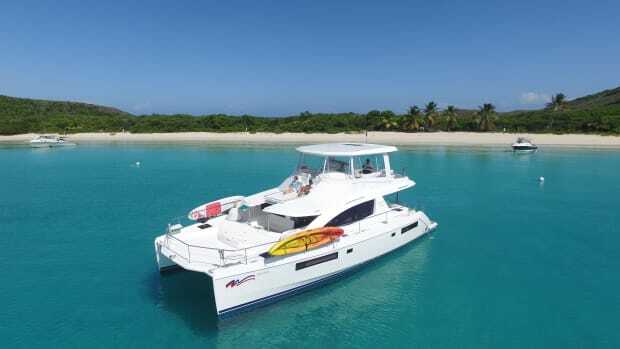 Dyson was able to narrow the search field allowing Fairweather to ultimately pinpoint the crabber in 256 feet of water using the ship’s advanced multibeam sonar. 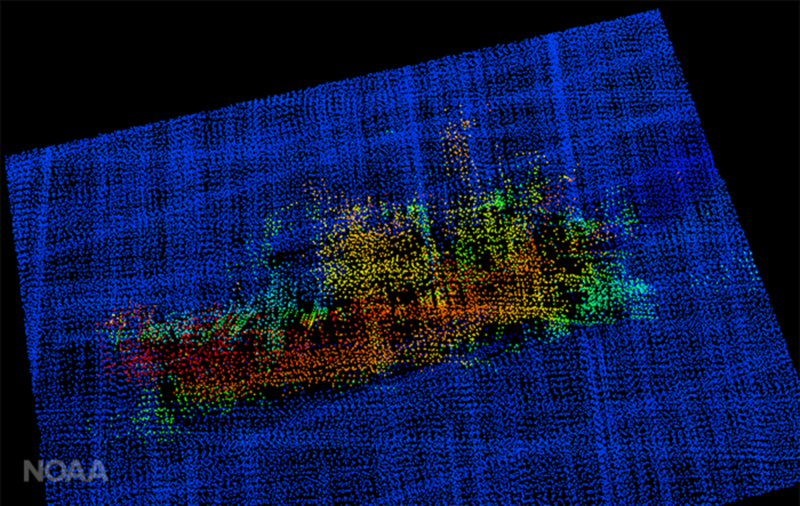 A 3-D image from NOAA Ship Fairweather multi-beam sonar. The profile of the F/V Destination is clearly visible, including the bulbous bow to the right, the forward house and mast, equipment (likely crab pots) stacked amidships, the deck crane aft, and the skeg and rudder. Destination sank on February 11, 2017. 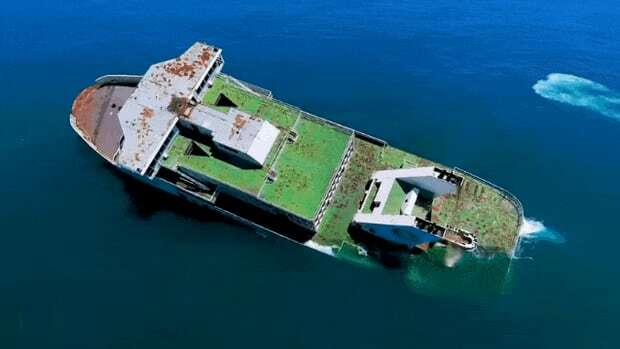 There was no mayday call or any emergency beacon that would have signaled a problem on board. 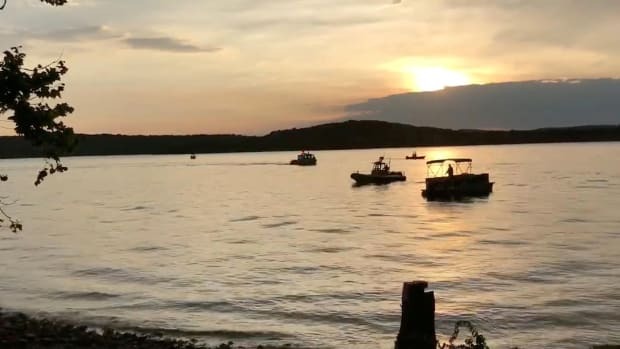 After the ship was located, a U.S. Coast Guard ROV was deployed to take pictures for an inquest following the accident. The first of only a few pieces of the FV Destination that were ever recovered. For the report, the NTSB interviewed a number of captains who were operating in the area at the time. 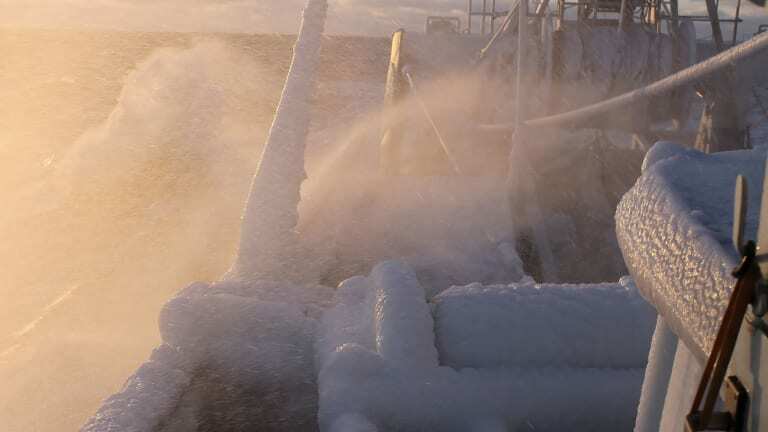 Forecast weather conditions for the night in question suggested that strong northeast winds, low temperatures, and building seas would create dangerous freezing spray that would accumulate on decks during routine crabbing operations. 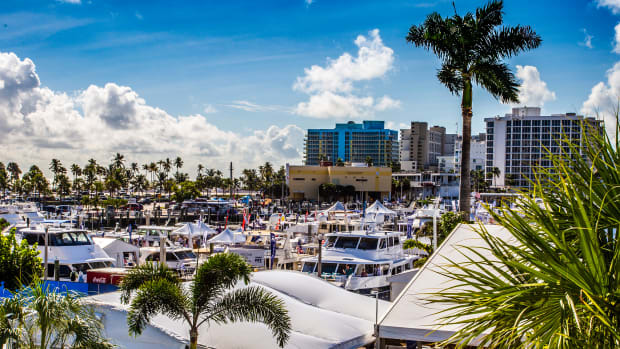 Most captains in the area felt compelled to adjust their course of business, but there was no such adjustment on Destination. According to the report, several other boats had accumulated significant amounts of ice, even at very slow speeds (1-2 knots), and one, the captain of F/V Silver Spray, decided that the forecast warranted holing up at St. George Island until conditions improved. 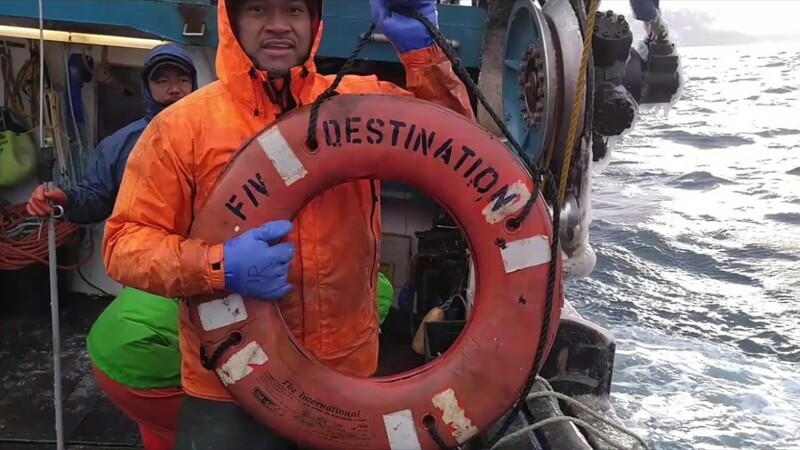 Another vessel in the area, F/V Polar Sea stopped four times for deicing efforts and indicated to investigators that ice accumulation levels were an “eight” (on a scale of 10). Ice accumulation during the last few hours that Destination remained buoyant were judged to be as high as 1.6 inches of buildup per hour. Newfoundland’s Memorial University modeled the day’s sea and weather data to gauge the probable ice buildup on Destination that resulted in her capsize and disappearance. The university’s model suggests that in such conditions roughly 5,951 pounds of ice could have built up every 15 minutes. 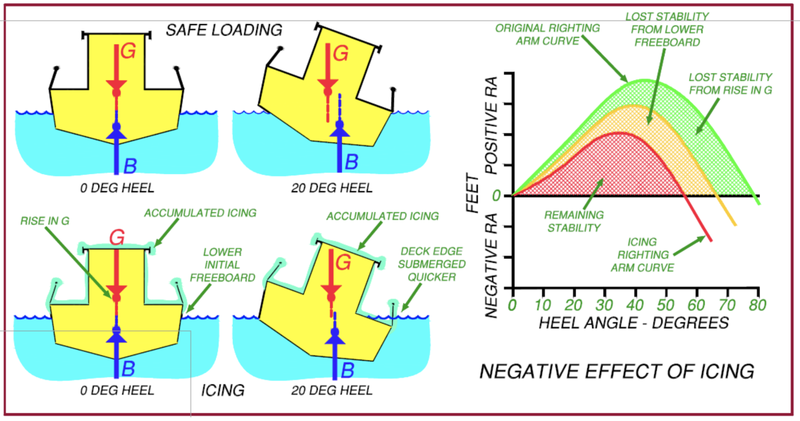 A diagram from the Coast Guard’s guide on vessel stability illustrates the negative effect of icing. Adding to the issues of the weight of ice, another captain in the report remarked that, in his opinion, Destination was carrying too many pots for the conditions and that the boat looked overburdened. 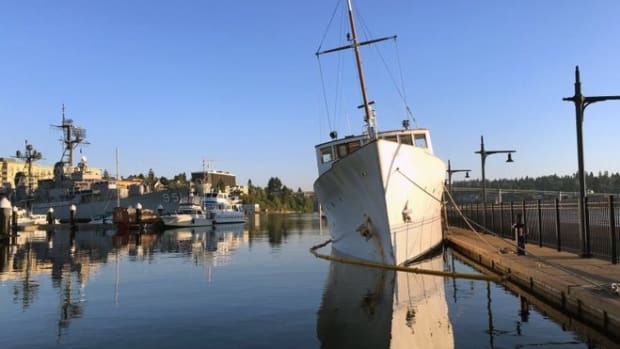 Further to that, the U.S. Coast Guard’s own Marine Safety Center (MSC) conducted a stability analysis of the boat using CAD-generated models from the boat’s 1992 rebuild, which indicated a number of other possible contributing factors in the sinking. 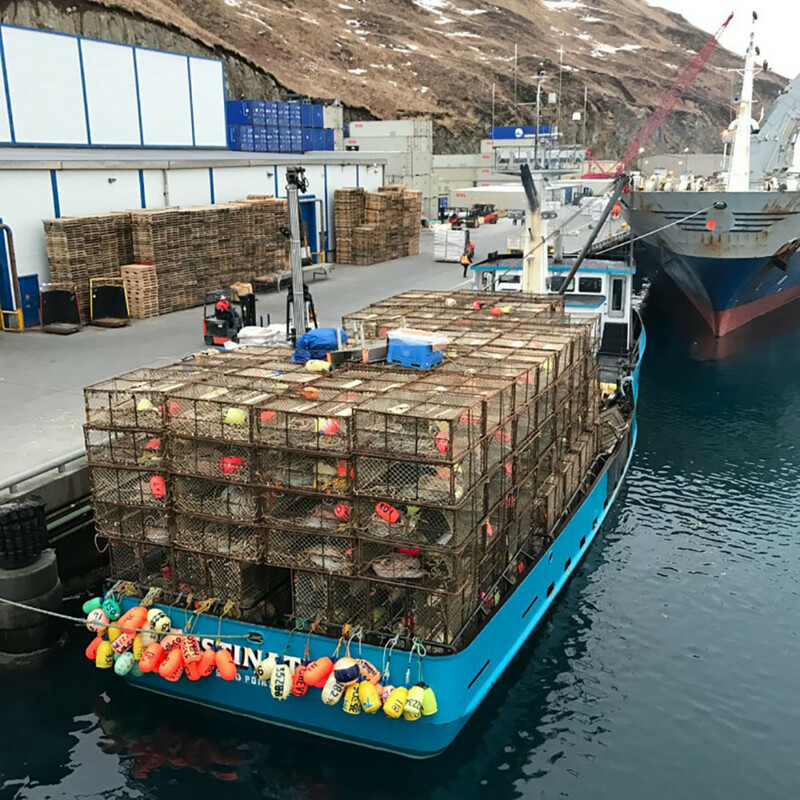 Crab pots that the Destination was carrying during its stopover at Dutch Harbor. 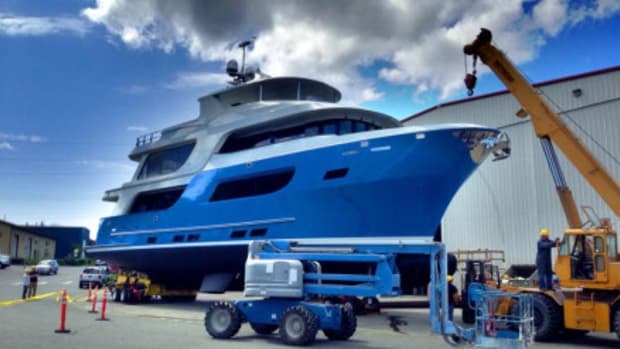 In all, and not including the substantial weight of ice accumulating on deck, the boat itself was laden with over 45,000 pounds beyond the boat’s specified stability load. For the NTSB’s full report, click here.